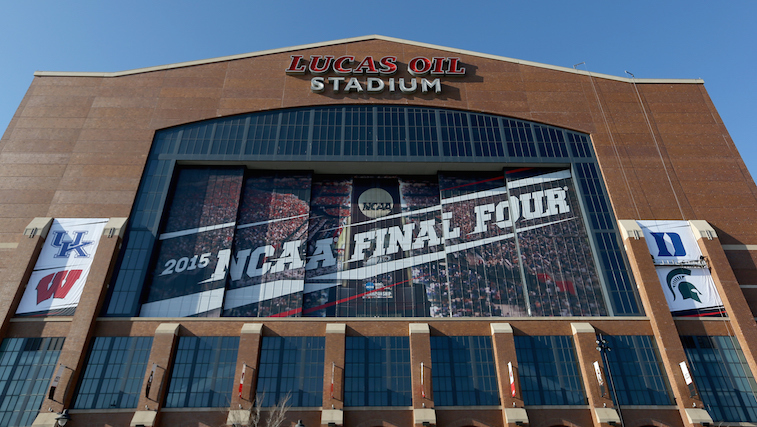 The NCAA men’s basketball Final Four is one of the most exciting and entertaining sporting events of the year. Not only does it serve as the culmination of March Madness, but it also serves as the last time basketball fans will get to see some of the best up and coming players in the world on the court as amateurs. Highly anticipated and exciting sporting events go hand in hand with point spreads and over/unders. In fact, the American Gaming Association estimated in mid-March that over $9 billion would be wagered on 2015 NCAA Tournament games. For the casual gambler, placing a small bet on a Final Four game can make watching the game even more interesting than it would be with nothing on the line. For the serious gambler, there is often much more on the line, but that’s a story for another day. 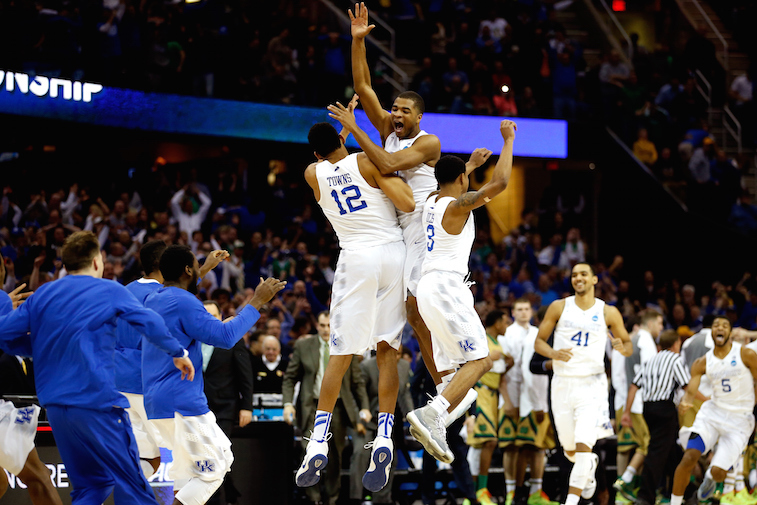 The oddsmakers in Vegas are expecting both Final Four games in 2015 to be close battles. The point spread in both games is only five points, meaning these are games the experts think could go either way. Much of the outcome will be determined by which team has the hot hand on Saturday night. With that, here is a look at our predictions – including a final score — on how both Final Four games will play out on Saturday night. These teams know each other well, as they met earlier this season in the State Farm Champions Classic. The Blue Devils won that game 81-71, but both teams have vastly improved since then. Duke will be without Rasheed Sulaimon, but that shouldn’t matter, as Coach K’s team has found what works for them and has played some of their best basketball of the season during the Big Dance. Michigan State went from being a bubble team to being a Final Four team by playing smothering defense, and receiving an All-American-esque performance during the month of March from Travis Trice. If we have learned anything from the Spartans during the 2015 NCAA Tournament, it is to never count out a team coached by Tom Izzo. This game will likely be tight from start to finish. 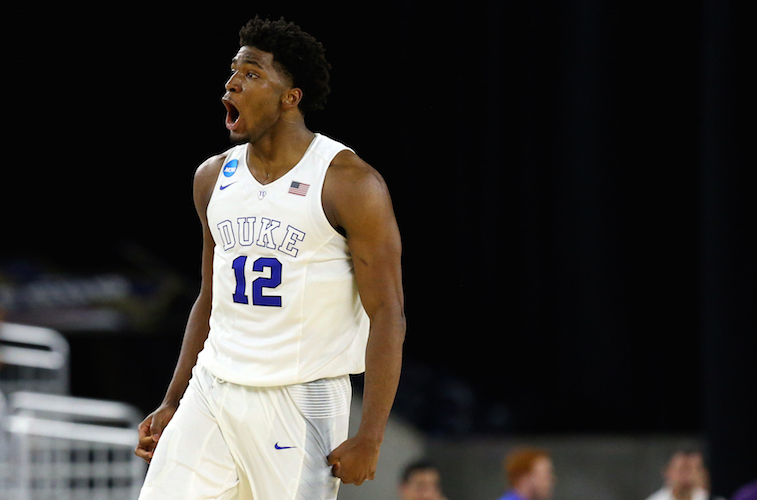 Duke big man Jahlil Okafor will once again dominate the Spartans in the paint, and the combination of Tyus Jones, Quinn Cook, and Justise Winslow will give the Blue Devils the edge on the perimeter. Duke advances to the ninth NCAA title game in program history. The game could very well be Kentucky’s biggest challenge in their quest for a perfect season. The Wildcats have survived several scares throughout the season, but they have yet to play a team with the experience and discipline of the Badgers. Wisconsin forwards Frank Kaminsky, Sam Dekker, and Nigel Hayes all have the ability to play from the inside and the outside, and will present Kentucky with several potential mismatches. On top of that, Wisconsin’s experience will likely prevent them from suffering a late-game meltdown, something that has been the downfall for nearly all of Kentucky’s biggest challengers this season. But will that be enough to overcome the talent and depth of John Calipari’s crew? Our guess is that it will not. Kentucky will advance to the 13th NCAA Tournament title game in program history behind a balanced team effort. All point spreads courtesy of SportsBook.ag.